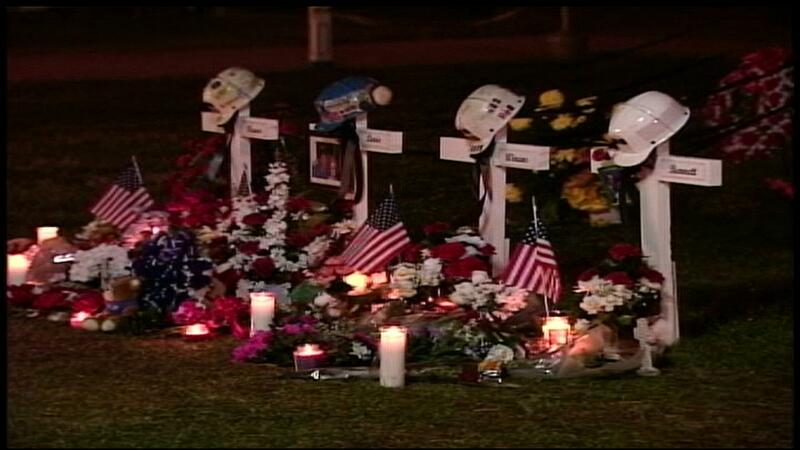 A memorial for some of the 12 miners killed in the Sago disaster. The billionaire Wilbur Ross is headed for Senate confirmation hearings as President-elect Donald Trump’s choice for secretary of the Department of Commerce. Ross made it to ultra-rich status in part by salvaging coal and steel assets in Appalachia and the Rust Belt. His business dealings leave a mixed legacy in the Ohio Valley region, from rescued steel mills to the site of a searing workplace disaster, and raise questions about the leadership he would bring to the president’s cabinet. Wilbur Ross made his billions from bankruptcies. He specialized in scooping up troubled steel and coal companies with an eye toward reselling them later at a profit. Ross founded International Coal Group (ICG) in 2004 when he and other investors bought the assets of Kentucky-based Horizon Natural Resources in a bankruptcy auction. (The investors purchased only Horizon’s non-union operations. A bankruptcy court later stripped the workers at Horizon’s unionized mines of many of their benefits.) 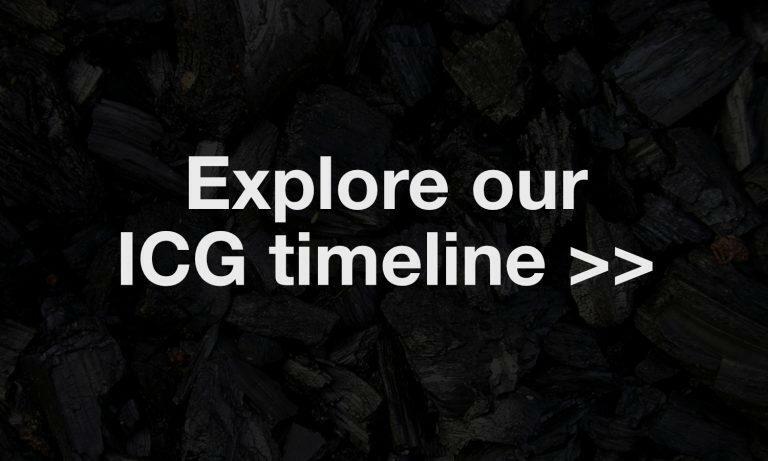 ICG soon had more than a dozen mines in Kentucky, Ohio, and the Illinois coal basin and was looking to buy more. Early in 2005 the company initiated the purchase of mines from the financially struggling Anker Coal Group in West Virginia. Anker would expand ICG’s holdings of “metallurgical” coal, used in steel production. One of the Anker mines, the Sago Mine in West Virginia’s Upshur County, had a particularly poor record of worker safety, with hundreds of violations on record. But ICG pushed ahead with the deal and owned Anker mines by October of that year. On the second day of 2006, a lighting bolt somehow met methane gas underground sparking an explosion at the Sago Mine that would leave 12 miners dead. The Sago disaster unfolded in dramatic and particularly bitter fashion. Miners trapped by the explosion had barricaded themselves in a sealed-off chamber deep in the mine to await rescue. But all but one had succumbed to carbon monoxide poisoning before rescuers could reach them. An independent investigation found the disaster could have been prevented. An idled portion of the mine could have been more securely sealed. Authorities could have been notified sooner (more than an hour passed before federal officials were told of the explosion) and rescuers could have entered the mine earlier. Mine safety expert Davitt McAteer led that investigation. 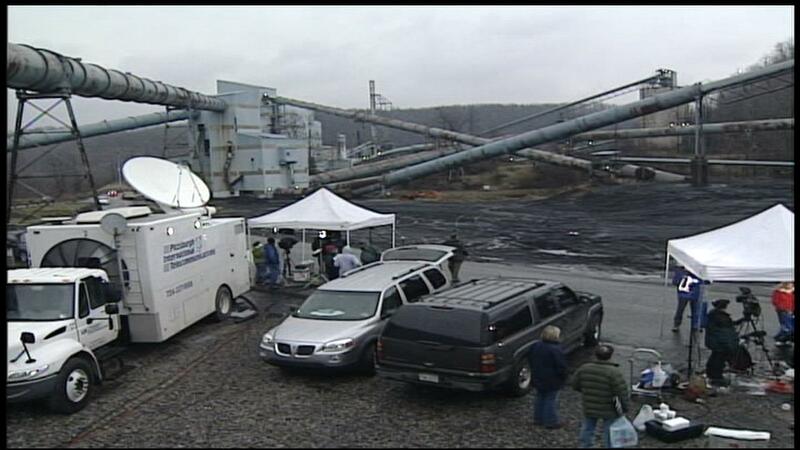 Media on the scene of the Sago mine disaster in 2006. Ross later told New York magazine that he’s haunted by the deaths at Sago. The company set up funds for families of victims but also faced wrongful death suits and penalties and fines from mine safety regulators. Now, a decade later, you’d be hard-pressed to find people in the region who even know who Ross is. Roger Nicholson, general counsel at ICG when Sago exploded, said that’s normal. Still, some remember him. Bill Hamilton, a West Virginia state legislator from the Sago region, remembers Trump’s early announcement for secretary of commerce. Hamilton said he was immediately concerned about potential influence of this shrewd businessman on the pending Miners Protection Act, a federal bill that would provide health benefits for retired miners and their widows. Ross’ practice of plucking out parts of failing companies has earned him several nicknames, including “King of Bankruptcy.” Some call him a phoenix that rises up from the ashes of burnt industries; others think of him as a vulture. The social justice nonprofit Kentuckians for the Commonwealth was involved in litigation over water pollution caused by ICG mines. The mines were sending runoff into streams with high levels of selenium, which can be harmful to people at high levels and is toxic to much aquatic wildlife. The lawsuit not only pointed out the company’s pollution, it also presented evidence that ICG’s water discharge reports to state regulators were fraudulent. Teri Blanton, a former chairperson for the citizens’ group, said Ross’ leadership of the company he formed was largely to blame. She worries about his nomination. “If he would put [ICG] together and have total disregard for people’s lives he was operating around, how could we expect him to take such a high position and care about the people of the United States of America?” Blanton asked. ICG ended up settling and paying $575,000 in penalties for the water pollution violations. In 2011 the company was sold to Arch Coal for $3.4 billion, the largest acquisition in Arch’s history. It yielded a handsome profit for ICG’s owners that the New York Times “Dealbook” called a “vindication” for Ross. Five years later, Arch filed for bankruptcy. “From my dealings with Wilbur, he was a believer in domestic manufacturing,” said longtime president of the United Steelworkers, Leo Gerard. Gerard was there more than a decade ago to see Ross buy up major failing steel companies when no one else would. Ross bought assets from a dozen collapsing steel companies between 2002 and 2004, including Bethlehem Steel Corporation and Weirton Steel. 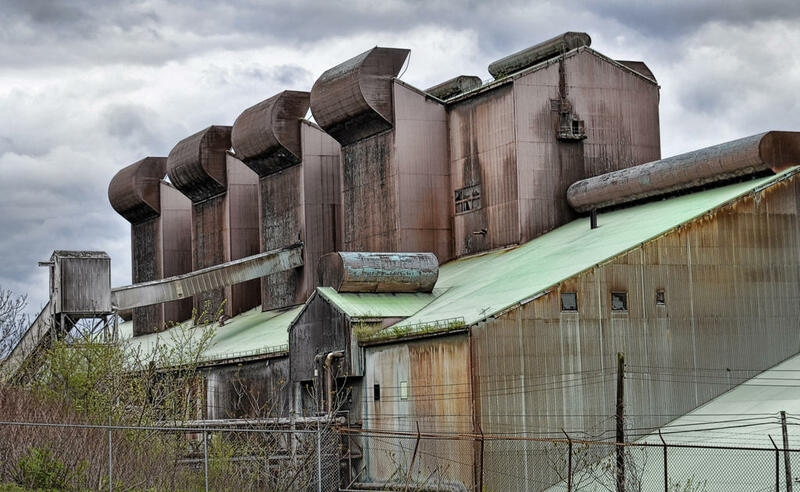 By purchasing only certain assets but not the entire company, Ross avoided taking on some of the company’s more costly obligations, including some health and pension guarantees to steelworkers. He sold the companies in 2005 to a company overseas called Mittal for $4.5 billion — fourteen times what he initially invested. Today Luxembourg-based ArcelorMittal is the world’s largest steel producer. A Weirton Steel facility in the upper Ohio River valley. Ross’ International Steel Group purchased many of the financially struggling company’s assets. Gerard points out that many of the assets Ross bought still exist as a result, including thousands of jobs. He also says the demise of the steel industry in the U.S. has little to do with antiquated mills or labor costs. “U.S. trade laws don’t work — period,” Gerard stated emphatically. This is an area where labor finds common ground with the billionaire investor. When pressed for answers about national commerce priorities, Ross also focuses on the shortcomings of U.S. trade policy. 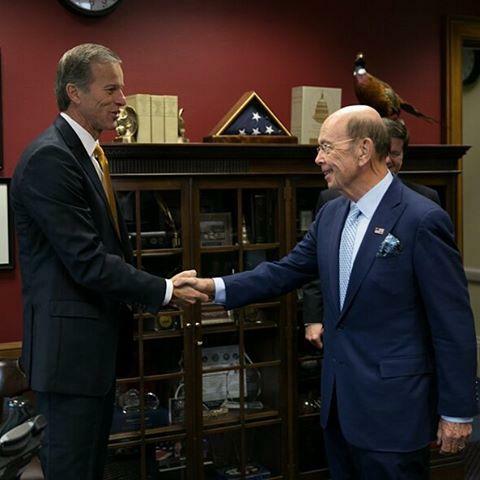 A month ago on Fox Business Network, Ross said addressing current U.S. trade policies was a top priority. Ross calls President Obama’s Trans-Pacific Partnership — a trade deal seven years in the making — a “figment of people’s imagination,” and he wants to totally rework NAFTA. Ross also hopes to see ten percent of environmental regulations undone to make more comfortable business environments (although the secretary of commerce does not directly control many of those regulations other than fishing in U.S. waters). Gerard believes improved trade agreements will allow the steel industry to grow, and that, he says, would also mean more coal mining. Davitt McAteer is less optimistic about the “King of Bankruptcy” taking over the Commerce Department. A confirmation hearing for Wilbur Ross is scheduled for J anuary 18th in the Senate Committee on Commerce, Science, and Transportation.